Thank the heavens. 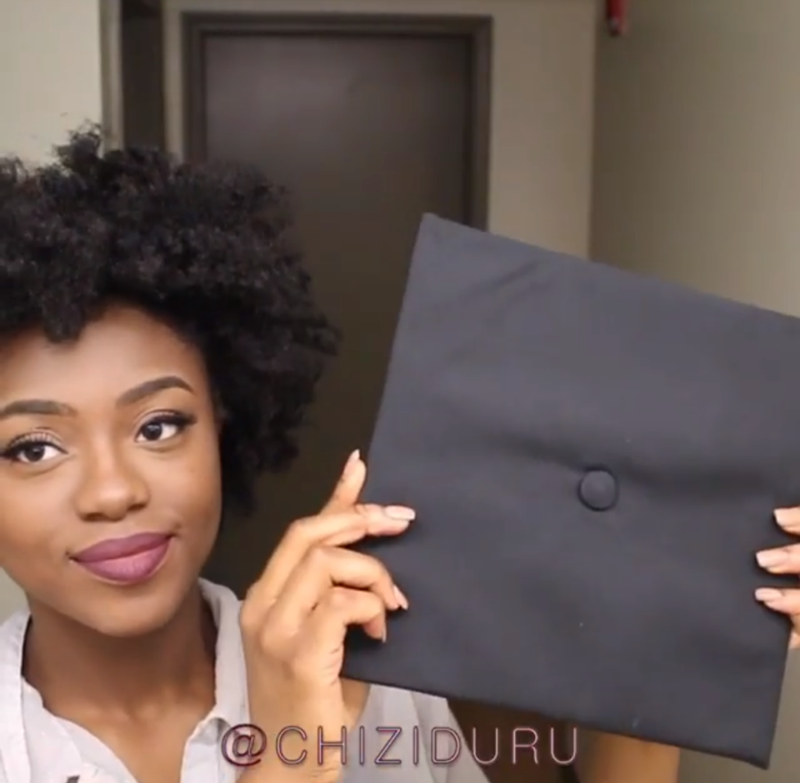 Vlogger and hair savior Chizi Duru came up with a brilliant hack for putting a graduation cap over an afro. 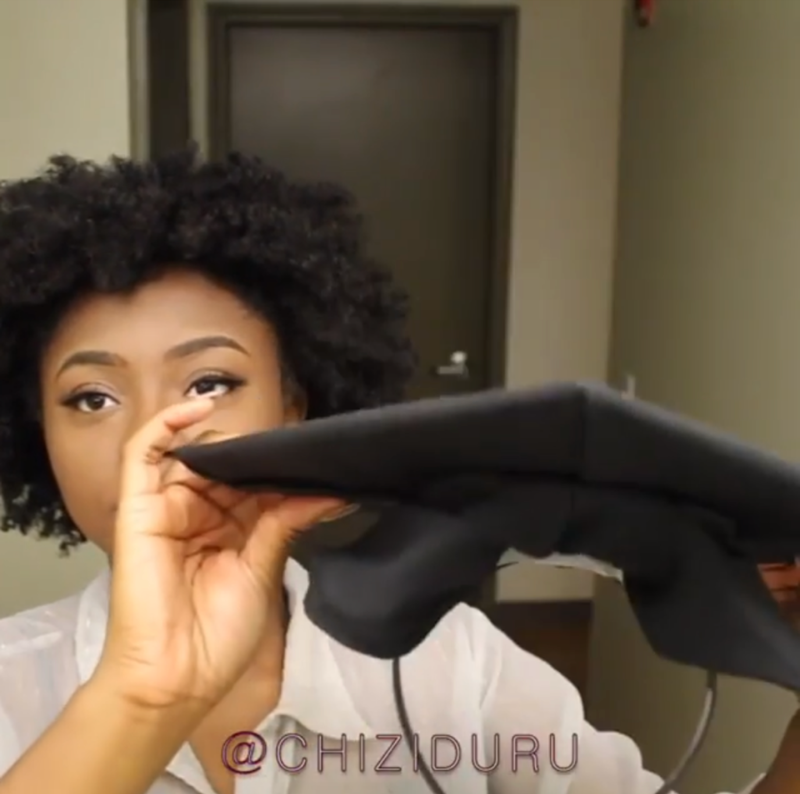 Not even a bucketload of bobby pins can help fit a graduation cap over a headful of voluminous natural curls. Here’s the thing: dig hair is glorious and there is no better feeling than the wind in your ‘fro. 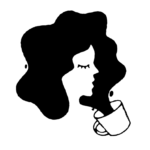 If you listen closely you can hear the whispers of birds and bunnies chanting “Yasss, Queen.” But sadly, our precious fro’s aren’t without their enemies. There are sulfate shampoos (no, thank you on the frizz), wet haircuts (curly hair should be cut when dry), and oh yeah — hats. Depending on your hair’s volume, hats can be tricky business. Not a big deal except on occasions where you really wanna wear a hat, like ummm, GRADUATION, perhaps? 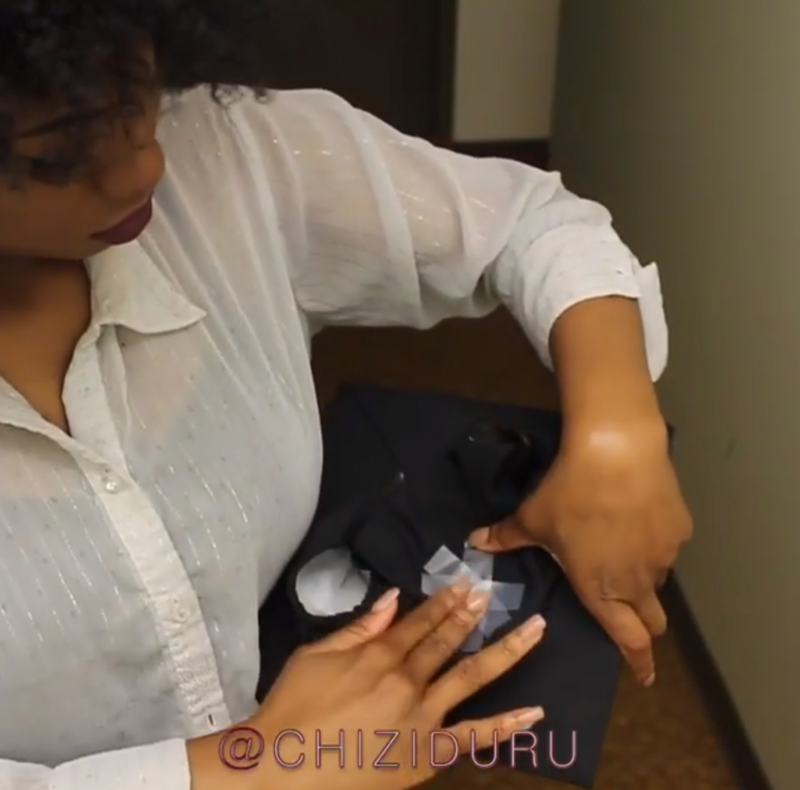 That’s where Chizi Duru comes in, to help us with this dreadful problem. 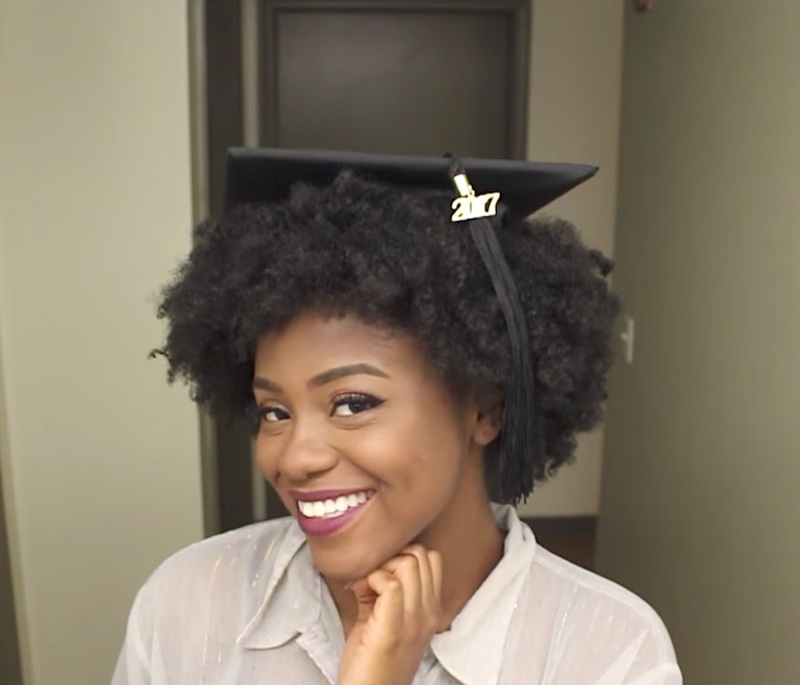 She shared her genius graduation cap hack, and we’re here to copy it and hit this video on repeat. Take a peek below for the following steps. First up, all you need is your cap. You’ll also need some tape and a headband. 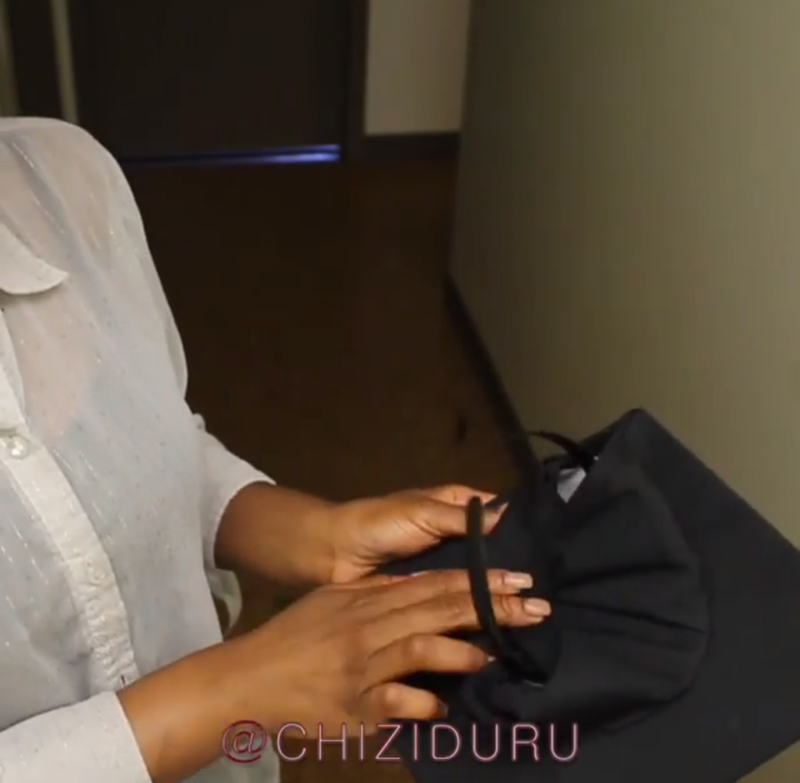 Start by taping the headband to your mortarboard. Then, tuck the flaps away. Next, tape them into place. 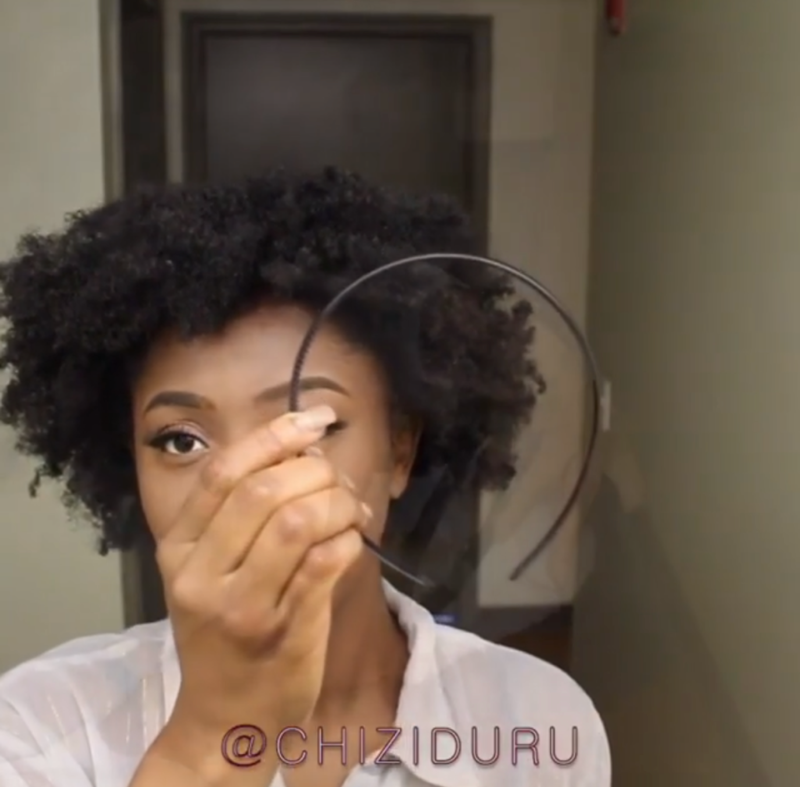 Chizi points out that you can use hot glue or duct tape for a stronger bond and shows how she styled her curls underneath in a more detailed YouTube vid. No smushed ‘fro’s at the after par-tay!